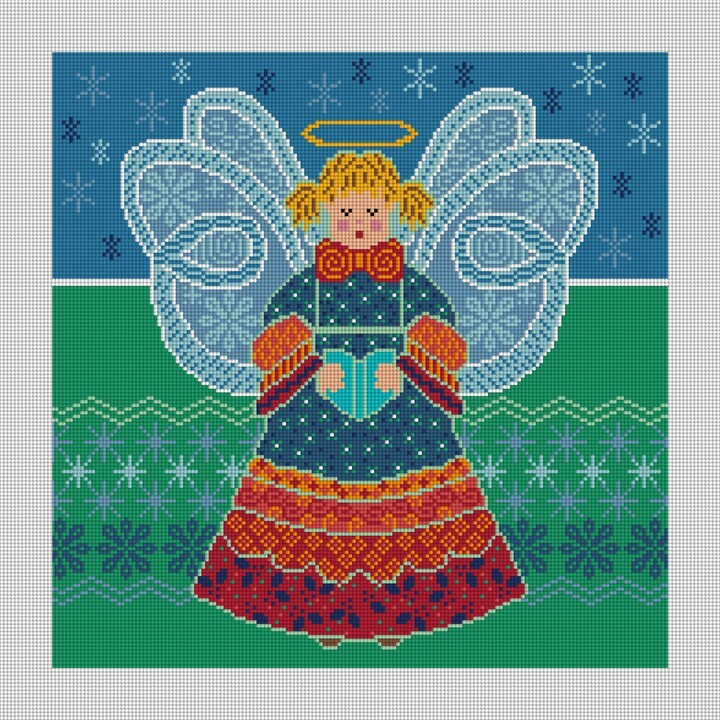 The Patch Angel needlepoint canvas features a wonderful color palette and interesting patterns that will delight the eye when stitched. This is a great project show off your stitching prowess. The canvas is square so it could also be turned into a pillow!